​This rather rare “friends and family” edition was published in 2006 to mark the release of the film. 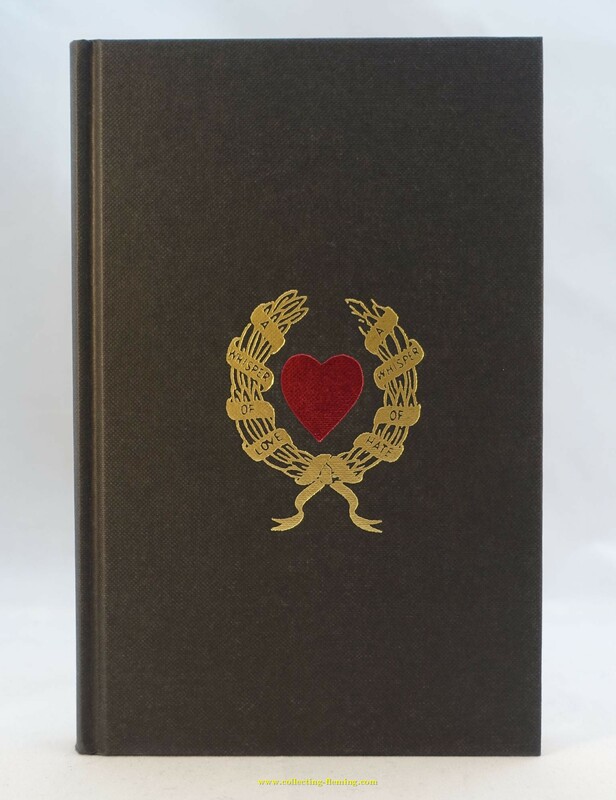 The dust jacket design is the same as the original 1953 Cape edition. 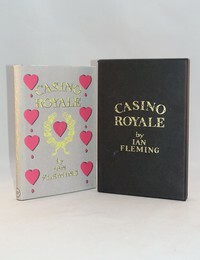 Both the book and slipcase have gilt designs inspired by the jacket design. 3. 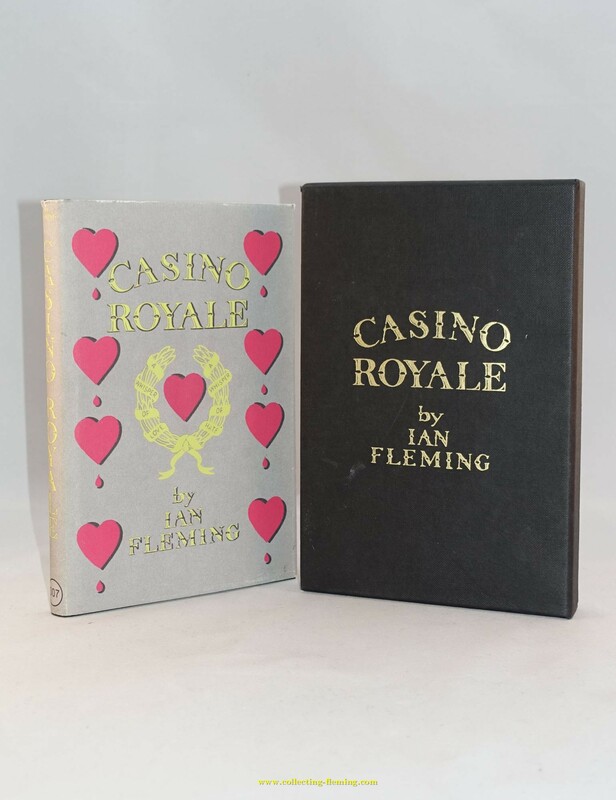 Ian Fleming with a 007 logo in a circle (No details known about this variant). 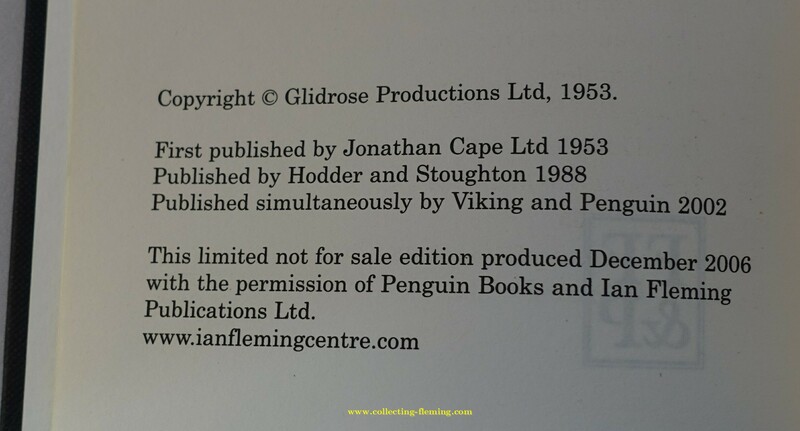 The number of copies produced is unknown but assumed to be very small. Only five copies have come on the open market since 2006, putting together a set of all three variants is a challenge for even the most dedicated collector. If you have a copy of this book or any further information about it please get in touch.